Ellie Kay is a pretty smart woman and does know how to handle money and help others do the same. 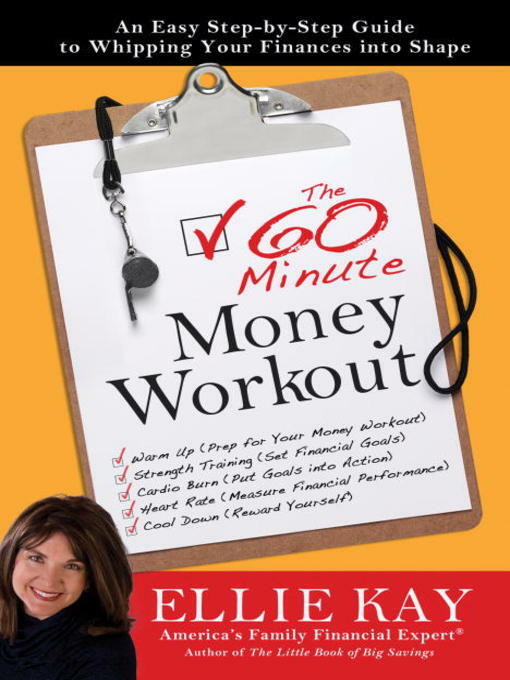 The 60 Minute Money Workout was picked because I wanted to get some tips and see what advice she has to offer. Her "money workouts" seem clever and set up different aspects to handling money. "Cardio Burn" is usually the part where you, as the reader, must come up with ideas or write something down accordingly to what she is writing about. Kay has some good pointers, but I honestly was disappointed with what I read. I wanted to read something new and this book is not something new. I personally did not like the formatting of the book with the "cardio burn" and "take your heart rate" titles, but that is just one opinion and not what I rated the book on. Overall Kay is a smart lady, and I don't think this book does her justice. Hey Michelle! Sorry I didn't respond sooner about the ornaments! We got them at a Christmas store here in town - are you going to be back here anytime soon? Because maybe you could stop and pick one up! They are open all year 'round. Send me an e-mail and I can give you more details. I saw some cute ones at the mall too, so maybe if you have a mall anywhere near you?